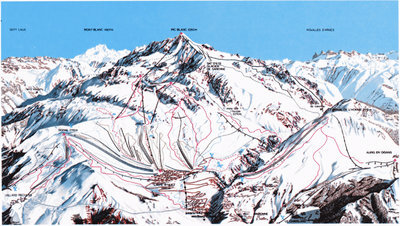 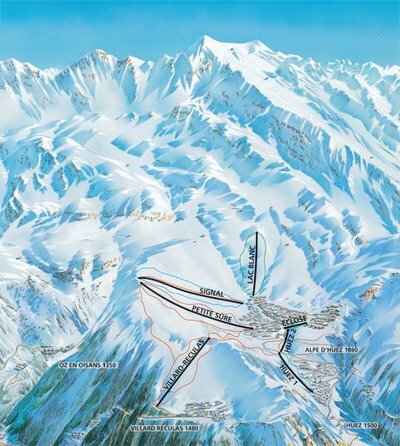 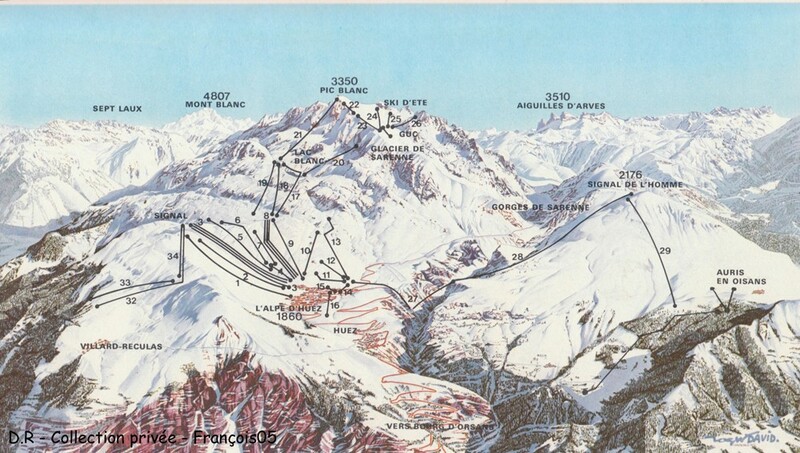 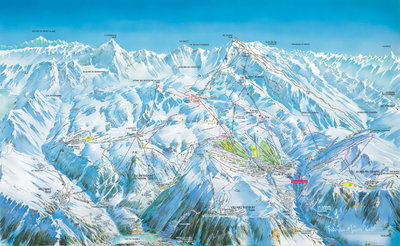 Map showing pistes in 1975. 3 Years after the link to Auris was built. 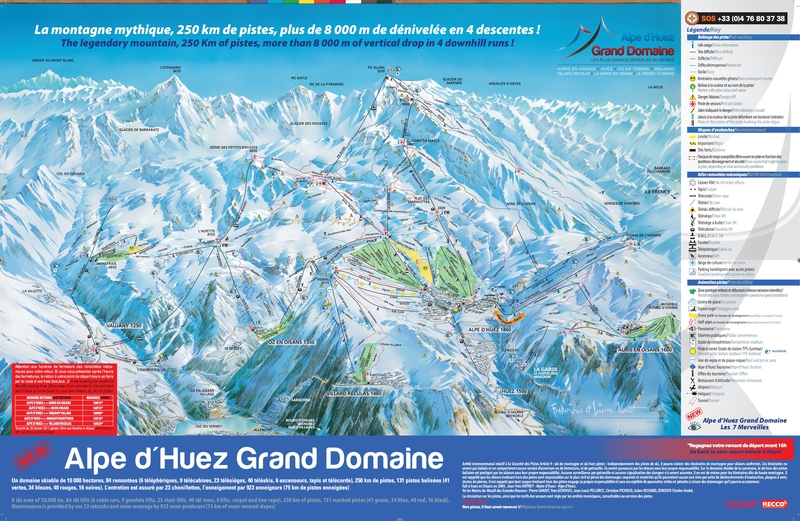 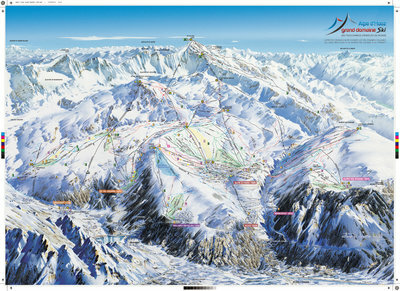 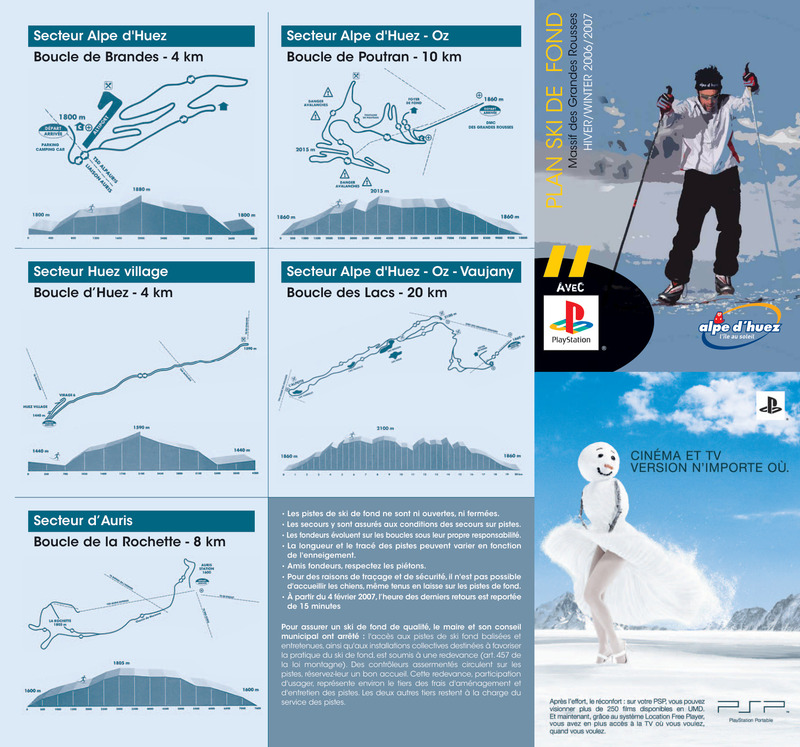 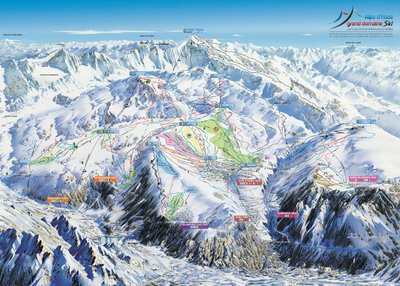 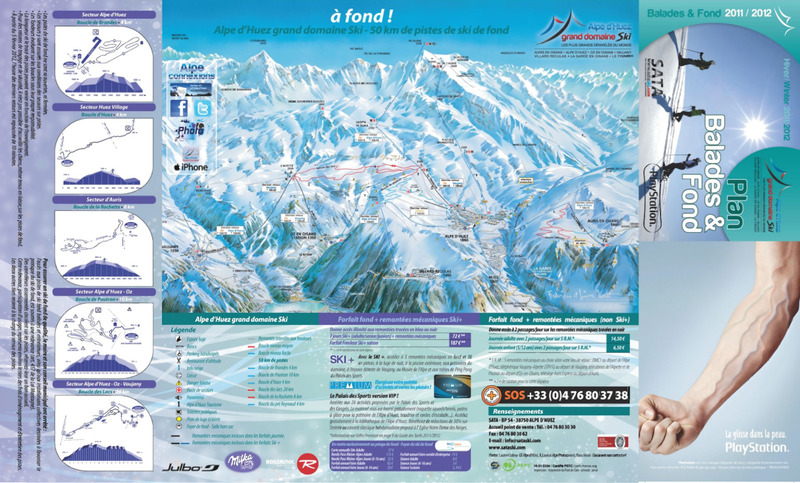 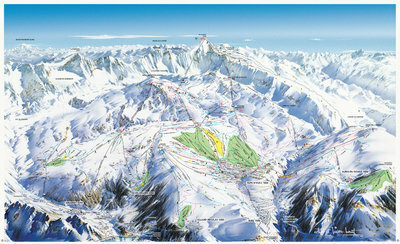 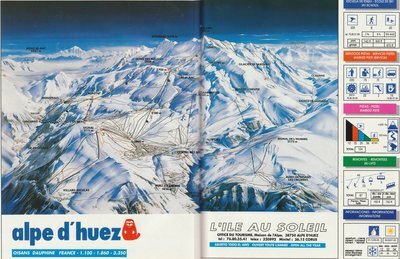 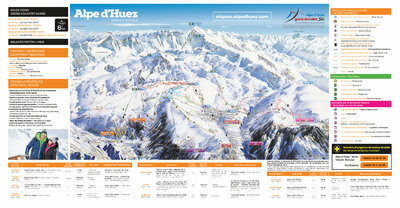 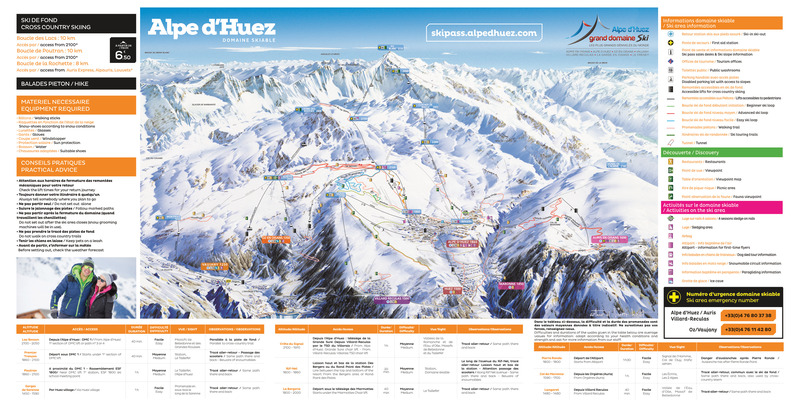 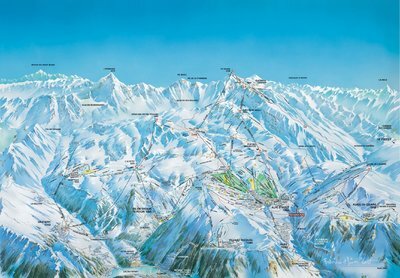 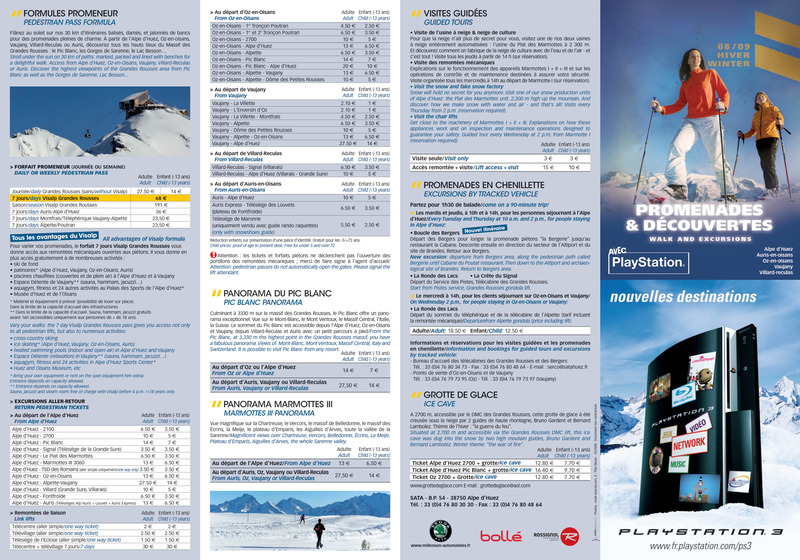 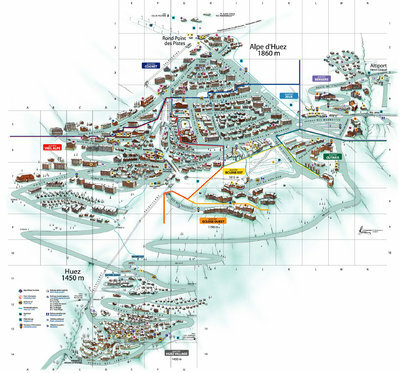 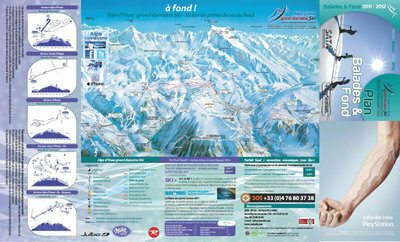 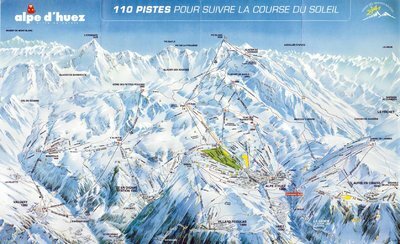 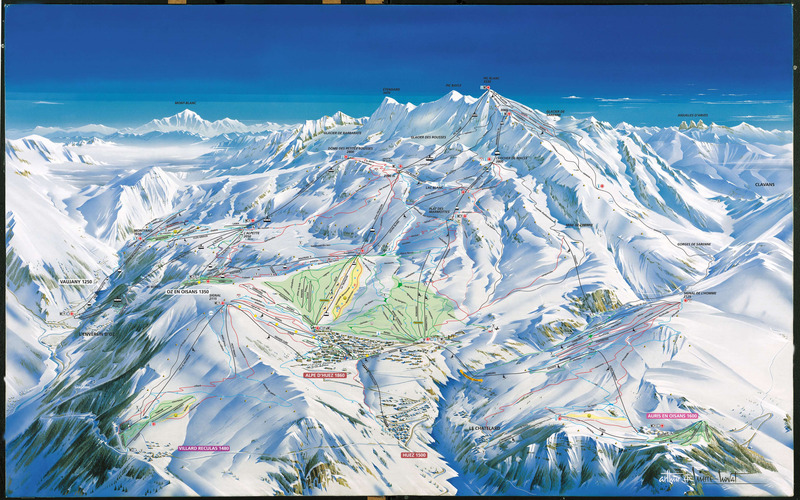 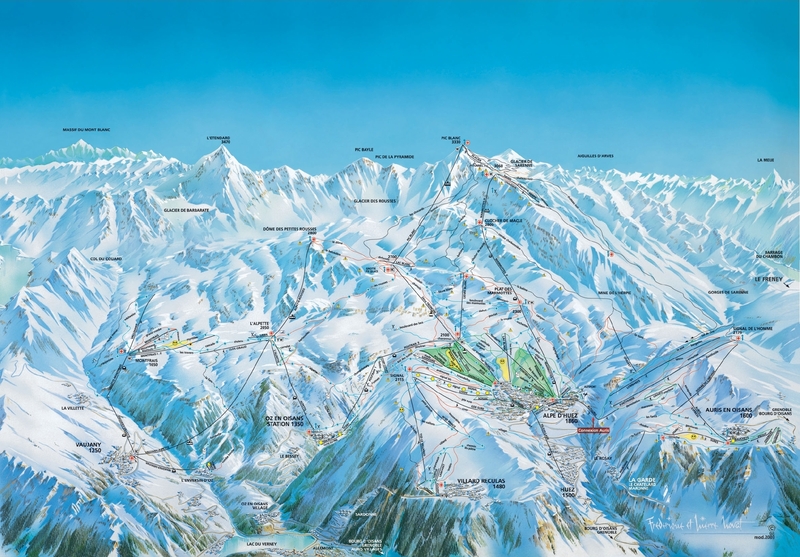 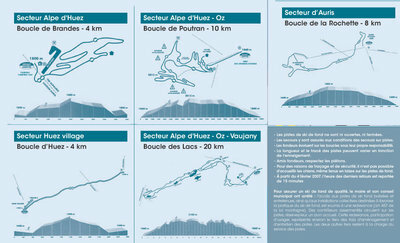 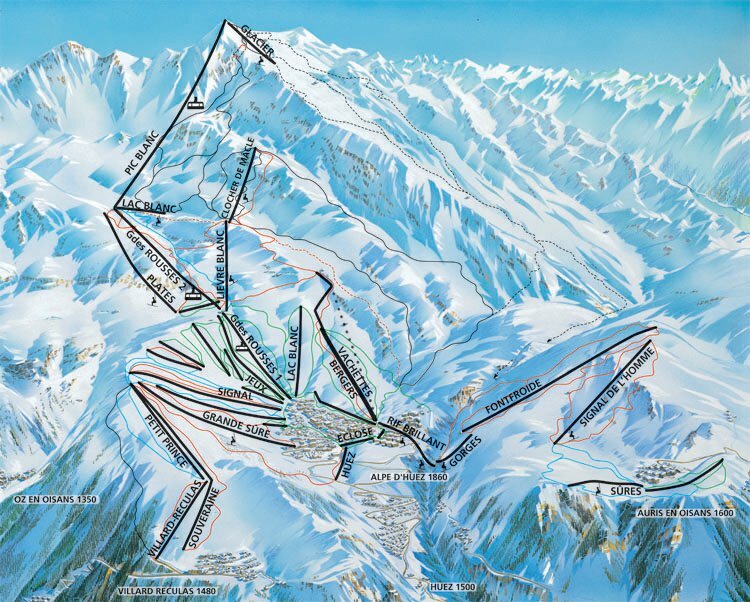 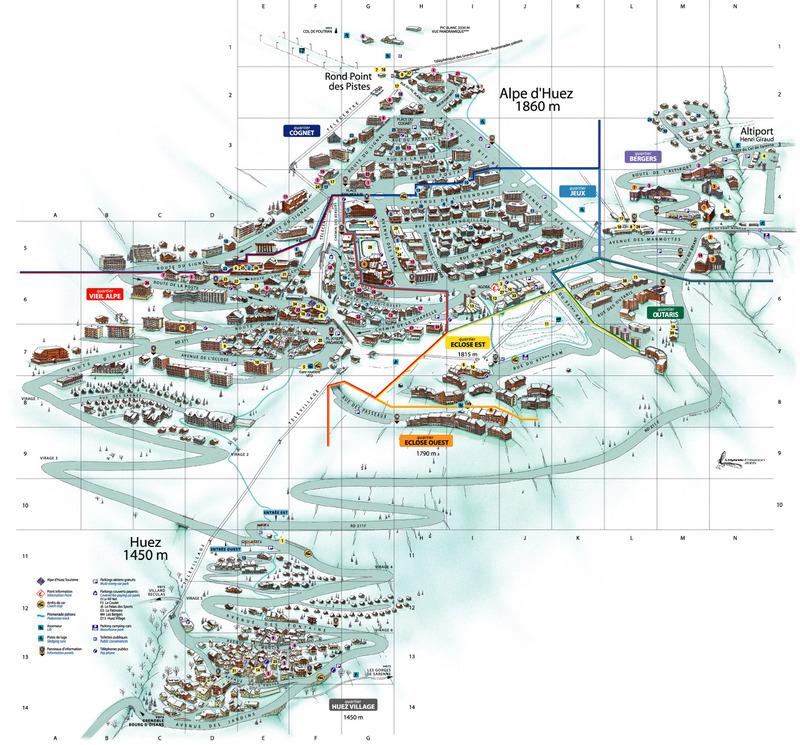 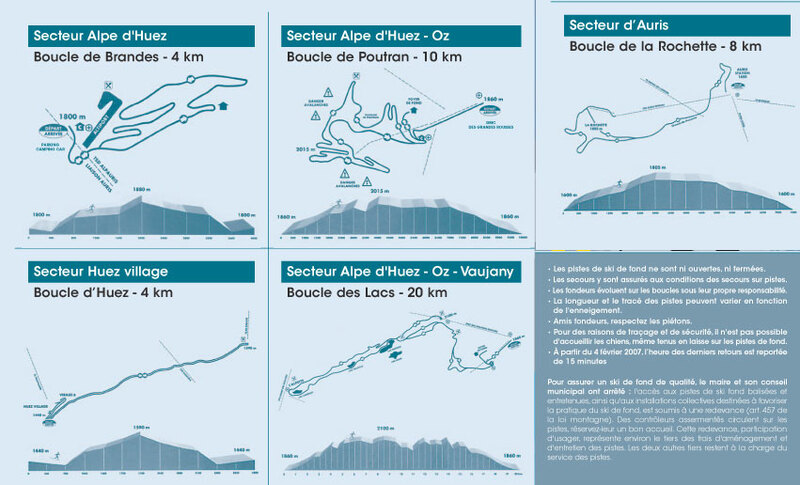 Modern map lift in Alpe du Heuz approximately 20 years after the opening of the resort.